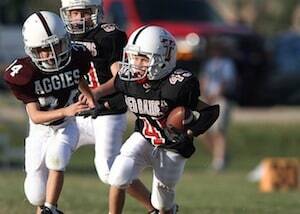 A recent study has confirmed that sports-related concussions from contact sports like football are definitely connected to long-lasting head trauma. The research analyzed the brains of 202 deceased former football players, including 111 who played in the National Football League. Of the 111 former NFL players, almost all - 110 - showed signs of chronic traumatic encephalopathy (CTE), a degenerative disease of the brain. In other words, more than 99% of the brains of former NFL players showed indications of degenerative brain disease. Certain team positions appeared to have greater rates of CTE than others - 44 of the players were former linemen and 20 were running backs. The study was conducted by a neuropathologist with directing duties at Boston University and the VA Boston Healthcare System. The brains came from deceased athletes of varying ages, from 23 to 89. All these players sustained multiple injuries to the head that resulted in traumatic brain injuries (TBIs) during their playing careers. Researchers admit that the study was far from random. The brains included in the study were donated by the former players' families because they felt that their loved one showed signs of CTE. The results of this study add to mounting evidence that head injuries suffered in contact sports, particularly football, are linked to degenerative brain disease, or CTE. Last year, after years of denials, the NFL's top health and safety official admitted the football-CTE link. CTE can be diagnosed only posthumously and is characterized by a build-up of a tau protein in parts of the brain. The NFL has agreed to a settlement with thousands of retired players and will pay damages to the families of those found to have the disease between 2006 and 2015. Enforce fair play rules including no striking another athlete in the head, using the head or helmet to make contact with another athlete, making illegal contact, checking or tackling. Learn and watch for the symptoms of concussion including headache, dizziness, trouble concentrating, confusion, light intolerance and nausea. Discuss the importance of reporting head injuries with your child. He may be reluctant to report a possible concussion because of fear of losing a position on the team or in a game, or worry about jeopardizing a future sports career or letting their teammates down. If you or a family member has experienced a head injury or vehicle accident, or has been injured by any other type of personal injury, please contact the Law Offices of Diana Santa Maria, P.A. immediately. Our experienced attorneys will fight for the compensation you deserve. Please call us for a free consultation. Attorneys Diana Santa Maria and Laura D. Dolin, personal injury attorneys in Fort Lauderdale, will fight to secure justice for you and your family. You can reach us at (954) 434-1077 or contact us via the website.